Last week our general Manager Liz Wheadon, and Fine Wine Manager Regan McCaffery, hosted a special tasting of the wines of Alvaro Palacios. The host of innovative winemakers operating within Spain has been a significant factor in the country’s success in recent years, hardy individuals unafraid to challenge centuries-old tradition, or preserve it where there is benefit in doing so. Leading the pack has been the charismatic and talented Alvaro Palacios, a perfectionist with a boundless energy for both retaining the knowledge of the past, and forging new vinous pathways. Alvaro was Decanter Magazine Man of the Year in 2015, and the recipient of the 2016 Winemakers’ Winemaker Award. 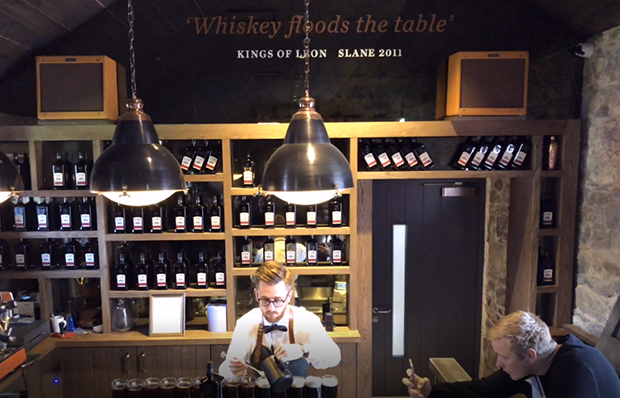 The latter is awarded by the Institute of Masters of Wine and The Drinks Business; bestowed upon someone who has made an outstanding contribution to the field of winemaking. The winner is chosen by a panel of winemaking peers including all winemaking Masters of Wine as well as past winners of the prestigious award. Previous winners include Peter Sisseck of Dominio de Pingus (2011), Peter Gago of Penfolds (2012), Paul Draper of Ridge (2013), the late Anne-Claude Leflaive of Domaine Leflaive (2014) and Egon Müller from Egon Müller Scharzhof (2015). Alvaro’s family were the owners of Palacios Remondo in Rioja and he was one of nine children. He was brought up working with the vines, and by the age of ten was selling flagons to passing truck drivers. His father sent him to Bordeaux to study Oenology, and he worked at the famed Chateau Petrus under Jean Pierre Moueix. 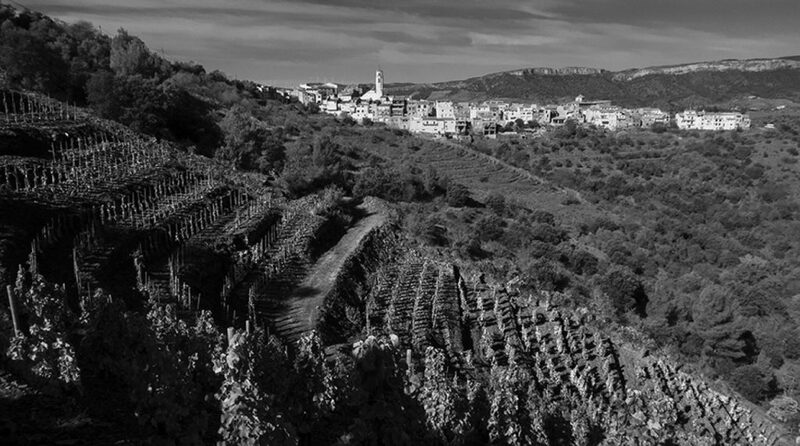 His father always expected him to eventually return home and continue with Palacios Remondo, but instead he chose to head out on his own in the obscure region of Priorat. Here he began to apply his winemaking knowledge to revive the largely abandoned, ancient vineyards in the mountains inland from Barcelona. He bought his first vineyard (Finca Dofi) in 1990, and in 1993 he identified a very special Garnacha (Grenache) vineyard on well-drained schist that was planted between 1900 and 1940. Palacios named it L’Ermita, and it’s now regarded as one of the finest and most expensive wines of Spain. 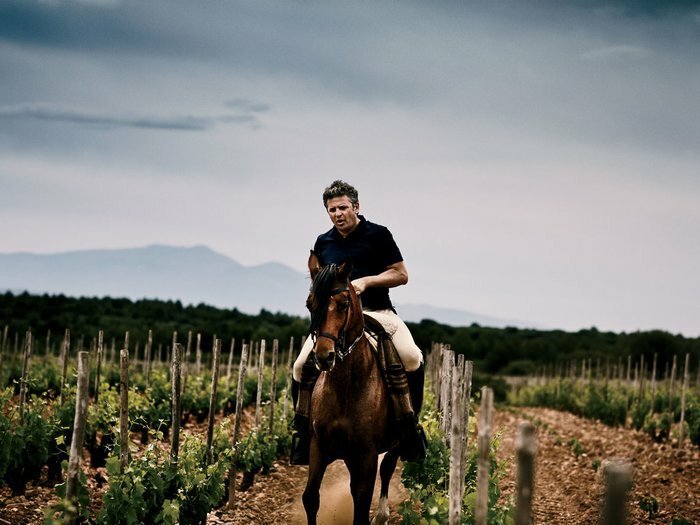 When his father died in 2000, Alvaro returned to Rioja to finally take over the family winery, situated in Rioja Baja. The area of Rioja is very hot, and was known for big alcoholic woody wines made primarily from Tempranillo, often mixed into regional blends. 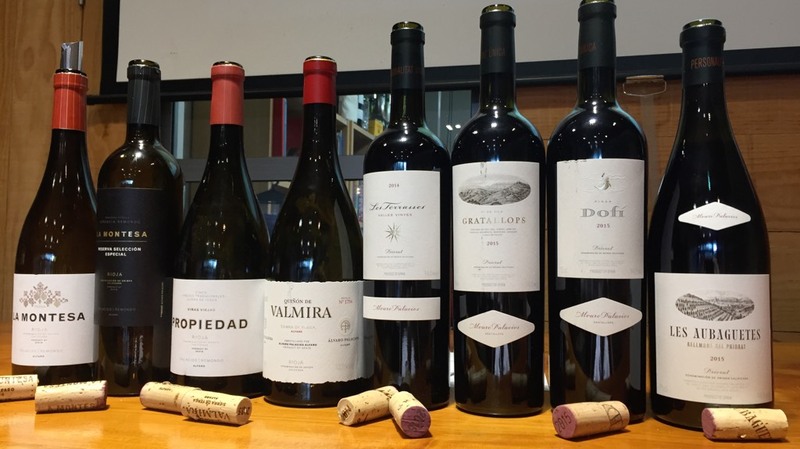 One of Alvaro’s first steps was to begin painstakingly grafting over it all to Garnacha, as he thinks it is much better suited to the climate and soil there, retaining more acidity and freshness. Traditionally Garnacha was the major variety in the region, but the advent of commercial irrigation in the 1970s allowed Tempranillo to be planted en masse on the flats. Alvaro refers to them as “industrial and artificial wines”. Like his vineyards in Priorat, Alvaro’s plots are dry farmed organically as bush vines and ploughed by horse. We tasted four wines from Rioja and four from Priorat; the quality across the entire range is simply outstanding. Alavaro Palacios is one of the world’s great winemakers, able to elicit emotion and capture great finesse and elegance, right across the price range. The $25 La Montesa Rioja is a perfect example of this, regularly receiving scores in the mid 90s from some of the world’s top wine critics. The highlights of this tasting though were his new premium releases, two extremely rare wines that are highly sought after in Europe. 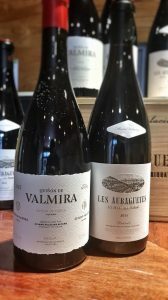 From Rioja we tried the 2015 ‘Quinon de Valmira’. Only 2045 bottles were made from this 3ha vineyard planted high above the village of Alfaro in 1985 at 615m. This is pushing the limits of where Garnacha can ripen. 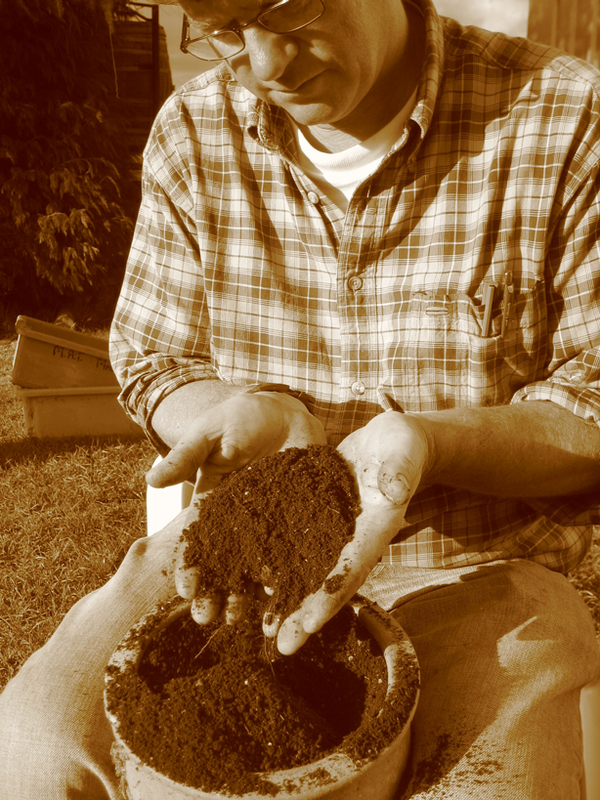 The soil is extremely thin here, just 20cm of red clay over a hard limestone base. It is also the location of an 11th Cistercian monk settlement, the first in the Iberian peninsula. The grapes from this special site had previously gone into his ‘Propiedad’ Rioja, but he had been experimenting with a single vineyard wine for a decade. Almost 100% Garnacha (there is a small % of Tinto Velasco planted); this was raised in 600L Oak casks called bocoyes for 20 months. We tried this after 8 hours of air, and it is like no Rioja you have ever tried. It’s hard to describe the extreme elegance of this wine, so incredibly light and delicate with no signs of wood, like drinking a fine old grand Cru Burgundy. At $500 this is also one of the most expensive Rioja available; we received a mere 12 bottles for New Zealand. From Priorat his new wine is the fantastic 2015 ‘Les Aubaguetes’. This is another example of Alvaro’s ability to identify some incredibly special vineyards. This sits between Dofi and L’Ermita in quality and price at $390. The grapes for this first vintage come off a north facing, steep plot with a shady exposition. ‘Les Aubaguetes’ literally means ‘the shadiest’. The tiny 1.34ha vineyard is located near the village of Bellmunt and has exceptionally old vines, planted in 1901. This vineyard always produced the greatest fruit of all the vineyards that formed the purchased component of his ‘Les Terrasses’ blend. After the grower retired, Alavro was able to finally buy the site himself in 2013. Composed of 80% Garnacha, it also contains Samso (Carignan) and 1% white grapes. This again shows the hallmarks of Alavro’s light hand; it has beautiful elegance and finesse, but with much darker and deeper structured fruit than the Rioja. The yields from these old vines are very small, only 1200 bottles of this exceptional wine were produced. We are extremely lucky to have a small allocation here.